Evolution…intelligent design…creation…or a little o fall three? What do you really believe—and why does it matter to your life, your family, and your faith today? starlight and time …and much more. 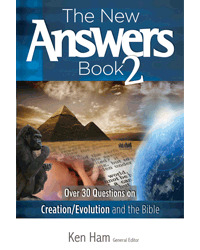 Explore these and other topics, answered biblically and logically in this book from the world’s largest apologetics ministry, Answers in Genesis. 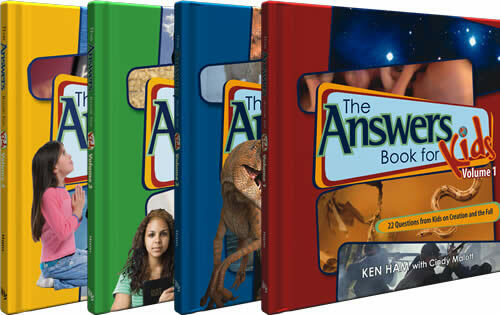 Timely and scientifically solid, The New Answers Book offers concise answers from leading creationist Ken Ham and scientists such as Dr. David Menton, Dr. Georgia Purdom, Dr. Andrew Snelling, Dr. Jason Lisle, and many more. What happens when you have more “hot” questions on the Bible and creationism than you can answer in one book? You create a second volume! 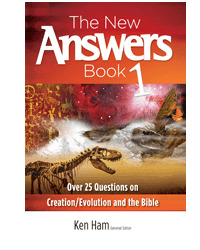 The New Answers Book 2 explores over 30 exciting and faith-affirming topics. The world around us provides irrefutable evidence of our Creator, but when challenged, can you defend your faith? Do you have answers to your own questions or those of your family about faith, evolution, creation, and a biblical worldview? We live in a culture with more questions than ever—questions that affect one’s acceptance of the Bible as authoritative and trustworthy. This DVD features easy-to-understand answers to some of the most-important apologetics quandaries of today. We live in a culture with more questions than ever—questions that affect one’s acceptance of the Bible as authoritative and trustworthy. 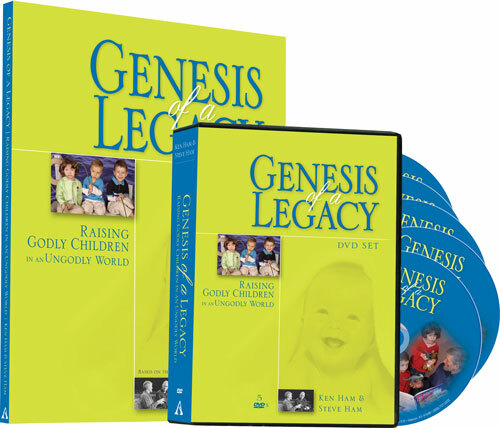 This DVD features 18 easy-to-understand answers from among the 35 questions posed and answered in the book version.